Public Liaison Officer (PLO) to Chief Minister Nera Techi today appeal the young entrepreneur of state to come forward and shoulder the responsibility and become the part of state development . 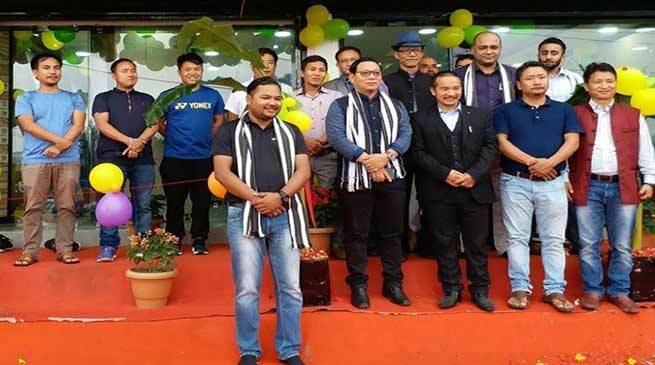 Nera was addressing the young/youth leaders and entrepreneur and businessmen at a inauguration function of a show room of tiles and different sanitary hindwares items on NH-415 at D Sector here today. He said that there is a need of unification all local upcoming entrepreneur and young businessmen of state so that the progress and development of state is in smooth way.